"Financial interests are driving Haim Ramon to ask to block the transition to direct talks". Yesterday, we posted that Haim Ramon (Kadima party chief) met with PA Negotiator Saeb Erekat at the American Colony Hotel and advised him to not go to direct talks with Israel. According to the article, Ramon stated to Erekat that Shimon Peres and another unnamed third party were behind the request to avoid direct talks. Anonymous government officials claimed that the unnamed third party is Martin Schlaff. Martin Schlaff was one of the investors in the Peace Process Casino is Jericho, and is under investigation for questionable transactions involving Ariel Sharon and his sons. He was also involved in the arrangement with the ship from Libya that was trying to go directly to Gaza. Peres's office has issued official denials that they sent Haim Ramon to meet with the Palestinians or to deliver the July 8th message to not go to direct talks. They added that Peres can and does meet the Palestinians, including Erekat, whenever he wants. By the way, Shimon Peres and Haim Ramon had lunch together on July 7. Due to lack of collaborating reports beyond the rumor mill, we've been sitting on this story for a while. But now it looks like the story is starting to break in the mainstream media as parts were reported on Israel radio this morning. The story has it that on July 8th Haim "Kiss and Tell" Ramon met with PA negotiator Saeb Erekat and advised him not to let the PA enter into direct talks with Israel. The rumor mill has it that this advice came from an individual known during the Oslo Heyday as the "'Palestinian's Advocate" - none other than President Shimon Peres. The logic behind the advice is that Netanyahu would never agree to the PA's terms, so it is better for them to not meet at all. In the long term, this will only produce additional international pressure on Israel, especially if the Freeze ends because of no direct talks. Keep watching this story. It could be huge if all the details prove to be true. UPDATE: The President's office has denied they sent Haim Ramon to talk to Saeb Erekat. Ayala Hasson, the Israel radio interviewer has been strongly implying (as it may be illegal to have made use of it) that there is a recording where Ramon can be heard saying that he is representing Peres. September Specials: Prices start at just $170 per room. On the night of Tisha B'Av last week, meetings around Israel were held under the banner, "On This Night, there is no Torah Learning" -- there exists a custom not to learn Torah the night of Tisha b'Av due to mourning of the destruction of the Jewish Temples in Jerusalem. The meetings were designed to be one of dialogue among the many different viewpoints in Israel's society. One of those meetings took place in Rechovot, with well known Left-wing personality Yossi Sarid on the panel along with Avi Rat, MK Tzippi Hotovelli and others. Yossi Sarid provocatively said that, "there is no way to prevent the division of Jerusalem, and giving away Eastern Jerusalem and the Arab neighborhoods to Palestinian rule." Avit Rat replied that "we have seen what happens when land gets given away to the Arabs. They [the Arabs] don't just sit quietly and eat Humus..."
Yossi Sarid's reaction was swift. He got up, left the panel, and walked out of the meeting. Dialogue at its best...when you can't argue with facts, you walk out. How the New Israel Fund deals with Criticism. So this religious, leftwing, socially-conscious woman living in Israel was disturbed by vicious anti-Israel comments at a NIF-funded "retreat", and she wrote to NIF about it. NIF ignored her letter week after week till the woman finally brought this to the attention of the press. NIF initially replied with a laconic, "We regret that Shlomit left with a negative impression after the program, since all the other participants that were there returned from the program with a positive and empowering impression." Obviously everyone had a wonderful time, and only this one misguided woman took everything out of perspective and context. Yet the NIF decided that those who criticize them deserve a much worse punishment. The NIF website now has 2 articles blaming the woman for her complaint, under the polite headline, "The Response to a Savage Attack", including a full page ad in the Maariv newspaper, denouncing the woman. They blame her for remaining anonymous. The way NIF treated her, I'm not surprised she wanted to remain anonymous -- to prevent radical anarchists and NIF goons from going after her and her family. I wonder if Shlomit will wake and smell the coffee, that criticism of the anti-Israel NIF, even if it's well-intentioned and coming from a leftwing "friend" of NIF, is still heresy. You have tough times ahead of you. They will mark you as a right-wing clueless fascist, as a traitor to their camp. I’ve experienced this. This is their strategy." In their response, the NIF goes out of their way to cast Shlomit as being on the right: "...she made clear what she termed her 'center-right' political views to the trainers". This is in spite of the fact that Shlomit herself clearly stated that "I would define myself as religious left-wing and in the previous elections I voted for Meimad under the leadership of Rabbi Melchior". The NIF also viciously attacks Shomit's heartfelt letter as "savage" and "antipathetic", and labels her cry of distress over the shock and trauma that she experienced at the seminar as "demonization and false accusations". Looks like Yemini was right on the mark. The "New Israel" Fund organizes all sorts of "groups" which "promote" their collective vision for a "New Israel". NIF Funds "groups" which attempt to Erase Israel’s Jewish Character and Framework, those that attempt to define Israel as an apartheid regime, those that support Goldstone and UN groups who wish to demonize Israel for defending itself, those that actively promote boycotts, divestment efforts and sanctions against Israel, and of course, groups which do all they can to prosecute IDF soldiers and Israeli officials whenever they go abroad. An Israeli Religious leftist recently attended a weekend, sponsored by a NIF-funded "peace activism" group, and she was in for a very rude awakening. She penned the following letter to the head of NIF in Israel, which appeared in Maariv by their columnist, Ben-Dror Yemini, and it was translated by NGO Monitor. You can read the entire Maariv article, translated here, or simply read the letter she wrote to NIF below and draw your own conclusions. I grew up in a Zionistic home where my father was an emissary for the Jewish Agency in and I, too, went as an emissary for the Jewish Agency. My Zionist education along with the liberal world outlook on which I was raised led me to devote both my professional and personal life towards building a more righteous and just Israeli society: I was amongst the first people to set up the women's council in my city and I helped to form a community that integrates both religious and secular families. Perhaps my most significant achievement to date is establishing a social centre. This community model has been adopted by the welfare office for parents of children that have special needs and a similar centre is currently being built in east Jerusalem. Within my professional framework, I have always been aided and assisted by the services of "Shatil" from the outset. As a spokesperson, I was assisted by an intern from the "Everett scholarship" and also received advisory services from "Shatil" in many areas. About 2 years ago I set up a social change division for the purpose of empowering parents and families of special needs children in Israel. A significant portion of our work as well as the organization's budget goes towards developing leadership and services for the Arab sectors in the Negev, Jerusalem, the triangle and the Galil. At present I have the help of another successful intern from the "Everett scholarship" via Shatil and am thus very connected to "Shatil", the Fund and its people. This has been my professional scope over the last decade. The report of the "Im Tirzu” movement created somewhat of a shockwave amongst me and my colleagues. On the one hand, we thought that if there was an element of truth in it then the Fund should do some soul-searching and we assumed they would. However, we were not prepared to cast aspersions on our loyalty to the Fund and to Shatil. The people of Shatil are after all our people too - activists for social change and the third sector, whose purpose is to build a more just and egalitarian Israel. In addition, for someone who has been raised and educated by professor Alice Shalvi, her being involved in the management of the Fund meant an automatic certificate of Kashrut to me. This is the reason why, when my manager suggested I attend a leadership program run by an American institution catering for managers and leaders for social change, I did not hesitate. I knew that the possibility of receiving a scholarship for a week in the desert along with fellow activists, with professional guidance from America, and that would ultimately create a group of quality colleagues was an opportunity for empowerment and growth. I was so elated and grateful that they were willing to invest in me in such a way. There were several qualification stages leading up to the program which I passed successfully and once the final list of participants had been compiled, I realized that I was the only representative for the disabilities. There was another representative for the environment but the most significant presence came from the Palestinian cause: Amnesty International, Sikkuy (The Association for the Advancement of Civic Equality in Israel), AJEEC (Arab-Jewish Center for Equality, Empowerment and Cooperation), Neve Shalom, Itach (Women Lawyers for Social Justice), Moussawa(Advocacy for Arab Citizens in Israel) and others. There weren't any representatives, for example, for the absorption of Ethiopian and Russian immigrants. Nor were there any representatives for pluralistic Judaism. At the time, this did not seem problematic apart from the fact that I was the only person representing the disabilities – a field which transcends political views or affiliation. I was slightly apprehensive that the political would be ever-present within the group but did not give it too much thought. And then, days before the program was to commence, the incident occurred with the flotilla heading for Gaza. The flotilla episode was much like the disengagement from Gaza, in the way that it divided Israeli society and beckoned you to choose a specific side of the argument. However, in this case, unlike the Disengagement plan which was complex and traumatic and which made me change my mind daily, there was no doubt in my mind as to whose side I was on. One of the marines, who was seriously wounded, is close to my family and I was convinced that he and his fellow soldiers were misled, and ultimately did the best they could do to prevent harming any of the passengers. It was only due to their resourcefulness that they were not killed or kidnapped. Our reality is so complex and causes us to constantly evaluate and re-assess our government's policies, but here there was no doubt that I was on the side of the soldiers. This gave way to more apprehension regarding the trip to the desert. I did not want to find myself in the minority or having to constantly defend myself against the other participants. I was worried about how the incident would influence the mood of the program but I still wanted to attend as I had been so looking forward to it. When the convener of the course sent out an email I became even more apprehensive as it was addressed to the "community of human rights activists". I felt as if there was a call for a united voice of all the participants and so I decided to reply to her in an honest email expressing my worries. She was amazing and calmed me down by explaining that there would be room for everyone to voice their opinion and that it was vital that my opinion be heard too. She also stressed that the contents of this program were about personal leadership and that the politics would be left outside the scope. I decided to go. It has now been two weeks since the program ended and I am still struggling to get back into routine both at home and at work. The level of the shake-up I experienced was so powerful that it led me to write this letter especially to you. I found myself in the desert under laboratory conditions, cut off from the world, cut off from Internet, with Palestinian and Jewish human rights activists who negated the State of Israel's existence. With people who want to annihilate the State without ruling out violent means, who believe that the State of Israel was born out of sin and who apologize for its existence, who loathe Israel and its symbols, who justify harming Israel, its soldiers and all its institutions, who devote their lives and efforts towards turning Israel into a bi or multi-national country. In fact the above is inaccura te. These people are fighting for one nationality alone – Palestinian. These same people oppose communal or civil national service for Arabs within the State. They also equate Israel's actions with those of Nazi Germany. "I love my country" I cried. "I don't always agree with everything that my government decides, but I love the country and its symbols. I have devoted my life to building it. Every social activity I have ever undertaken has been motivated by Zionism especially for equal rights and developing amenities for Arab society. Over here I wouldn't dare exclaim out aloud that that I have a strong Jewish identity and that I am a proud Jew and Zionist. This was how life was in the 1930s just like my late grandmother used to describe it". I think the whole experience was far more difficult for me than it was for the others, because they were all amazing people and leaders who were doing everything for the causes that they believed in. It was difficult not to admire them. Since I have been home, I have not been able to sleep well. I have been playing this week over and over in my mind trying to find what hurt me and what shocked me. I have to say that this was an excellent program with a wonderful content. The overall mood amongst the participants was one of accepting and empowering. Were it not for the presence of politics, we all would have had so much in common. But the radical left was so present in the room that it seemed obvious that everyone was speaking in one voice. All the sentences began with "we" and not "I". It seemed like no issue was complex nor were there different views regarding the issue. The IDF was a conquering army, Israel was a colonial state, only the Palestinians suffered and this was the only real issue at heart. It has been two weeks since and I am still disturbed by what I have experienced. I have decided to write to you to try and get some answers. The thought that the Fund is walking in that spirit was unbearable for me. Do the supporters of the Fund have any idea that the numerous organizations benefiting from its support and counsel are putting all their effort into negating Israel as a Jewish and democratic state? Is the Fund itself openly working towards removing the "Jewishness" from the State? Is the Fund trying to turn Israel into a country for all her inhabitants alongside a Palestinian state? Is the Fund backing the fact that the aim of the Palestinian society sector within "Shatil" is to strengthen the expression of the Palestinian nation, and that on the Jewish side of the spectrum the aim is to strengthen freedom of religion and not Jewish identity and the national expression of the Jews in their homeland? Is the Fund backing the fact that Shatil's sector for immigrant absorption is dealing just with that and not promoting or legitimizing immigration? I cannot help but wonder why the Fund defines its political right limitations (for example, the advert looking for social activists for the Golan Heights was postponed by the notice board of Shatil), but does not restrict its political left: for example, denouncing any form of violence or violation of the law by organizations and their activists. Are you aware of this "atmosphere" amongst the leaders of organizations which the Fund supports? Can the Fund give coverage to the issue of loathing and denouncing Israel and its institutions? I have never participated in struggles or protests, only with building and developing. My allegiance to the Fund and Shatil was uncompromising after the publication of the report. I was their strongest defender and I absolutely identified with their goals and activities. I can say unequivocally, that this has been one of the main causes of the feelings of my feelings of late. I am not complaining about specific people. I am actually not complaining at all. It is the right of every person, organization, group of organizations and the fund that supports them to act according to what they deem correct as well as set their own goal, as long as all of this is clear and known to their supporters and activists. But I cannot let what I have experienced pass by knowing that there is a possibility that the "creature" is turning against its "creator". I feel that you, as manager of the Fund, would want to hear and know these things. Perhaps the Fund and all of its leaders should currently be hearing this voice not from a high perch of criticism but rather from its legitimacy in the eyes of social activists such as me. In the eyes of people who up until today, thought that they belonged to the liberal left but cannot be part of it or its activities anymore without feeling that they are harming their existence as Jews in a Jewish state. I know that your previous home was the Jewish federation of San Francisco and I also know that one of the aims, amongst others, of this organization, is to strengthen Israel as a Jewish and democratic state. This is a good enough reason for me to believe that you still represent this vital goal today. These are tough times to be an Israeli both at home and abroad. I as an Israeli Jew, who believes in "Tikun Olam" and trying to build a more just and egalitarian society and who has devoted and will continue to devote her efforts to achieve this goal, could not carry on in life without writing this letter to you with all its honesty and pain. “The Rockwood program is a prestigious international program for the development of social leadership that is based on the many years of experience and expertise of the Rockwood Institute in this field. The leadership seminar in the desert was the first attempt to harness the expertise and knowledge of the Rockwood Institute for the bettering of overall society in Israel. The program is based on an open discussion among the participants in both a wide forum and in small working groups, which allow for the sincere personal expression of the participants in a pluralistic, intimate and secure setting. Over the course of the program the participants give voice their personal opinions on a wide variety of topics. The claims made in the article do not at all reflect what took place at the program, according to testimonies from the 19 other participants, including the CEO of Sikkuy, Ron Gerlitz; the CEO of Agenda, Anat Sargusti; and three women on staff, who did not hear any of what was allegedly said, certainly not the promotion of the destruction of the State of Israel. The program did not at all focus on political aspects, and did not include any content or instruction of the type described in the letter. And in any event, such opinions in no way reflect the position of the Rockwwod Institue or Shatil. Nonetheless, we cannot take responsibility for every passing comment that Shlomit claims to have heard or that she was exposed to. NIF: Destroying Israel dollar by dollar. Serious question for all our readers in Israel. What in the world are you doing with your kids for the entire month of August? Please give detailed answers and ideas in the comments section. ...we need to face the fact that there is a significant disconnect between the way many (if not most) non-Orthodox Diaspora Jews define Judaism and their relationship to it [as opposed to the way most Israelis define it]. American Jews are characterized by a Post-Modern, absolute individualism. Most, as a result, bristle at the very idea that any person or institution can decide who is or who is not Jewish. On the other hand, the over 80% of Israeli Jews who describe themselves as either Orthodox or Traditional (including many Israeli Conservative Jews) see things very differently. Their conception of Judaism is not totally subjective, and their obligation to the Jewish people, as a whole, and their strong connection to Jewish collective history and memory is obligating and formative. In other words, here, the seamless combination of Jewish nationhood and Judaism, which has characterized Judaism from time immemorial, is very much alive. As a result, conversion is not simply a matter of religious self-expression. For most non-Orthodox American Jews, being Jewish is primarily a personal lifestyle choice. For most Israelis, being Jewish is primarily being part of a nation. What can you do? Anytime you see incitement against Israel, organized attacks against Israel, orchestrated lies against Israel, or even just a position that looks to not be in Israel’s best interest, these days, the first question you ask is, did the NIF give money to the organization at the forefront of the attack. 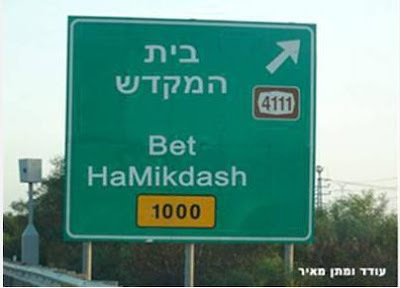 This weekend's Makor Rishon had an interesting report. On the eve of Tisha b’Av there was an important case regarding the security fence near Jerusalem (specifically Har Gilo) that was directed to the Tel Aviv District court to deal with. Appearing before the court as a “Friend of the Court” for the purpose of helping clarify technical matters, were representatives of the Council for Peace and Security. This organization was declared to be a “Friend of the Court” in 2006, and helped the Supreme Court decide in moving the fence on numerous occasions. Around a month ago the case first came before Tel Aviv District Judge Sara Gadot. Based on answer and statements from representatives from the Council for Peace and Security, the judge began to openly wonder about their neutrality on the fence as well as their actual professionalism on the matter (after it appeared that not everyone who even claimed to have participated in the fence survey actually participated). So the judge started to ask questions of the members of the Council for Peace and Security. Members of the Council for Peace and Security said the judge acted improperly. The Council’s lawyer Talia Sasson (yes, that Talia Sasson) said that the judge had no right to ask that question as the Court system already recognized them as a “Friend of the Court”. But the judge didn’t accept that and said that question is relevant if there appears to be bias and an agenda. Anyway, you guessed it. The Council for Peace and Security, as well as individual members of the Council for Peace and Security, received a lot of money from the… New Israel Fund (NIF). In fact, while the NIF website, back in 2007, was calling the council a former grantee, NGO-Monitor exposed that the NIF was still giving them money even in 2008. Why do I write this? Is this just another justified Muqata expose on the New Israel Fund? Last week we saw the culmination of an incredibly organized and orchestrated attack against Israel. There was an incredible amount of disinformation and outright lies being told to the Reform community about this Rotem Conversion bill. Members of the Reform community were so incited and riled up that they became incapable of logical thought, much less basic reading comprehension. Even with the exact text of the bill placed in front of them, they brushed away the facts in front of their face and resorted to emotionally based, unrelated arguments (and will probably do so again in this post’s comments section). A bill that would have resolved most of the conversion problems in Israel. The author of the our post on the Rotem Conversion Bill made a comment that everyone seems to have missed. The author wrote: On the religious side, IRAC (an organization which receives funding from the NIF), the activist arm of the Reform Movement in Israel, is leading the fight. The Reform movement does not have much in the way of a significant number of constituents or followers in Israel, just a lot of money from various funds. Just like the bill will prevent the Religious High Court from interfering with conversions, it will also make it harder for Israel's judicially activist secular Supreme Court to bypass the government, and overturn long-existing laws regarding conversion in Israel. A key project IRAC has been working on for years. IRAC was leading the fight against the conversion bill. And it is certainly reasonable to assume that IRAC was apparently also responsible for the dissemination of information about the bill to the Reform community in the Diaspora. One good thing that came out of this is that the country suddenly became aware that IRAC was trying to bypass the legislative process in Israel, as it was certainly failing in trying to convince the citizens of Israel of their case. Instead IRAC was trying to change Israeli conversion law through a sympathetic Supreme Court, while simultaneously applying massive international pressure on Israel. We’ve seen the tactics before. These are the same tactics used by Peace Now, Gush Shalom, and many other radical Left organizations. Many of whom have one thing in common. Funding by the NIF. And IRAC is no exception. Last week the Jerusalem Post reported, “The Israeli Religious Action Center (IRAC) and Masorti (Conservative) Movement in Israel agreed to a nearly six-month freeze on their High Court petition demanding state recognition of non-Orthodox conversions in Israel,”. What this means is that over the next 6 months, IRAC will probably work hard to kill any chance the bill has of passing, or work to have it severely revised with some very specific changes in mind, via various pressure methods, and then in 6 months time will merrily skip back to the Supreme Court to continue were it left off in their attempts to circumvent the democratic process via the courts. But I believe they will try something even more insidious, something our author didn't consider. IRAC will try to have a water-downed version of the law passed, while spending the next 6 months simultaneously continuing to work through the Supreme Court to get a Reform rabbi officially recognized as a community Rabbi (specifically Miri Gold - they are currently petitioning her case in the Supreme Court) thus creating a back door to force the State to recognize Reform Conversions in Israel – and as a direct result, creating a schism in the Jewish nation in Israel, such that every family will now have to start keeping and checking family records to prevent intermarriage. Once again, yet another organization funded by the NIF. Gazans are furious over the "Humanitarian Aid" which has been arriving on flotilla ships and from donor counties -- and they are specifically mad at the "aid" that has arrived from Arab countries. Monir Al-Barash, the PA Health Ministry's Director of Donation Receivables stated that since the IDF "Cast Lead" operation, Gaza's hospitals have been able to make use of less than 30% of the "medical aid" that has donated. "Al-Barash said that most of the medical equipment that arrived over the past year was "useless". "Benefactors sent us a shipment worth millions of dollars to counteract Swine Flu, except the shipment arrived after the virus threat had already completely disappeared." Another senior PA Health Ministry official, Bassam Barhom started that among the medical equipment were broken dialysis machines." What annoyed them the most were the donations from Arab countries of burial shrouds for children. Most of the medications are being buried in landfills since they have expired or are of no use. - Medication for issues not in Gaza. - 70% of the total aid is unusable. With luxury shopping malls being constructed (and full of shoppers), I guess that improved medical services were taken care of already. Buy a raffle ticket for the Yeshiva Chofetz Chaim 2010 Summer Raffle. Purchases by August 3rd also enter a raffle for a $500 AMEX gift card. 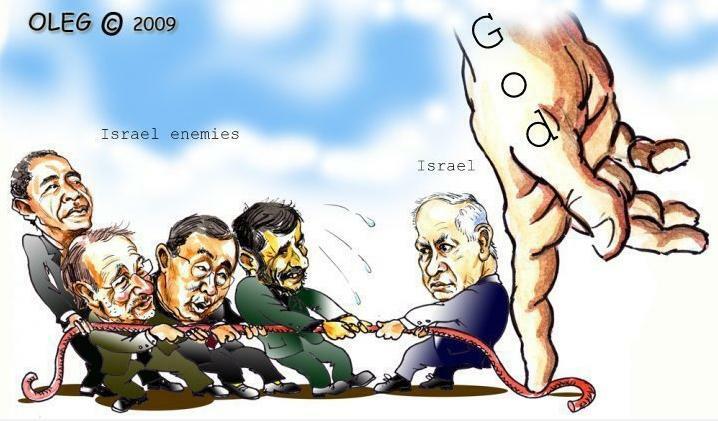 Who is destroying "Jewish unity"? In the comment thread on the Rotem bill post, an anonymous commenter has been arguing that for the sake of "Jewish unity", the State of Israel ought to accept all Jewish denominations as equally legitimate. Specifically, she is demanding that any person who converted to Judaism through any of these organizations (e.g., the Reform Movement) should be accepted as a Jew for all legal purposes. She accuses the State of Israel of destroying "Jewish unity" by not accepting these converts as Jews. Since this issue has nothing to do with the Rotem bill (which is the subject of the post in question), but is still a very important point of Jewish public concern, I have decided to respond in a separate post. For thousands of years, the mainstream of the Jewish people maintained a unified tradition regarding who is regarded as a Jew, based upon matrilineal descent. Then, 27 years ago, the Reform movement -- which itself had come into existence only a few decades earlier -- came along, and decided to unilaterally jettison those traditions, and create their own, new rules. In particular, they decided to dispense with the universally accepted requirement that the mother be Jewish [CCAR, Report of the Committee on Patrilineal Descent, adopted March 15, 1983]. Thus, it was the Reform movement, not the Orthodox, who broke ranks with the rest of the Jewish people by unilaterally abandoning all existing rules and standards that the Jewish people had maintained for centuries. To then follow up this unilateral act by demanding that the rest of the Jewish people now accept their own, newly-invented defintion of a "Jew" is outrageous. To make this demand in the name of "Jewish unity" -- after they themselves shattered Jewish unity by discarding the Jewish people's existing standards, and adopting their own, new, private ones in their place -- is the absolute height of hypocrisy. Suppose that I and some of my friends were to establish our own, new Jewish organization, called the "Lox and Bagels Club". Suppose further that we were to decide to adopt our own, private organizational definition of who we consider to be a Jew: Let's say that we resolve that we consider anyone who likes to eat lox and bagels to be a "Jew". Would we then be within our rights to demand that the State of Israel adopt our new definition for legal purposes? If your answer is that our hypothetical Jewish organization should have no right to make any such demand, then why is it acceptable for the Reform Movement to do so? Why should the rest of the Jewish people be expected to accept a brand new definition of "Jew" that violates the Jewish people's fundamental religious traditions, and that a new movement simply made up only a few years ago? Perhaps you think there's a difference between my Lox and Bagels Club and the Reform Movement. Maybe you would argue that the Reform Movement has a large number of members, whereas my Lox and Bagels Club doesn't -- and that the Jewish people should therefore accept the Reform movement's "new Jews", but not the Lox and Bagels Club's "new Jews". I would draw your attention, then, to the fact that there are other Jewish organizations who are also vying for recognition, and who have a rather sizable membership. For example, there is Messianic Judaism, aka "Jews for Jesus". They, too, have demanded that the State of Israel and the Jewish people accept them as a legitimate Jewish denomination, with the authority to perform conversions. (Their criteria for conversion, not surprisingly, center around the acceptance of Jesus as one's lord and savior.) Should their demands be accepted too, in the name of "Jewish unity"? Most Jews -- Orthodox, Conservative, and Reform -- would answer: "But that's different! Those people believe in Jesus, so they're not Jews. That's crossing a red line: Jewish tradition has refused to accept Jesus for the last two thousand years! These people can't come along and violate our fundamental religious tradtions, and then demand that we accept them as legitimate!" If this doesn't bring a tear to your eye, you're probably an evil Zionist. I remember Tisha B'Av 5 years ago just before the Disengagement. Instead of concentrating on destruction and mourning, the feeling was much more like that of Yom Kippur; a day of prayer, atonement, and hopefully salvation from the decree to destroy the homes of Gush Katif and the Northern Shomron, and the eviction of their Jewish residents. Despite all the prayer, the destruction came anyway. A lot has happened in the past five years. Soldiers were kidnapped and murdered. Gilad Shalit languishes in a Hamas hell-hole in Gaza. Two wars were fought -- the Second Lebanon War in the North, and Operation Cast Lead in the South. Thousands of rockets have rained down on Israel. Israel can't even defend itself from Gaza's terror without resounding world condemnation, led by Jews such as Goldstone. Israel can't even enforce a naval blockade around Gaza to prevent the flow of weapons to Hamas, without the world's scathing criticism, joined by the unholy chorus of J-Street and New Israel Fund recipients. The period of the "3 weeks" is always traumatic, yet this year it seems to be far worse and closer to home from horrific traffic accidents to plane accidents. May this be the last year when the "3 weeks" are one filled with trepidation and sadness and Tisha B'Av is a day of mourning. May next year be one of rejoicing, rebuilding, and redemption. Consequently, recently there have been cases where the Chareidi-controlled Religious Courts attempted to annul, retroactively annul, or not accept the conversion of some non-Chareidi Rabbis (a halachically questionable act in of itself), and have made it difficult, if not impossible for the non-Chareidi Rabbis to perform conversions if they don’t base it on the various criteria set by the Ultra-Orthodox (a combination of religious philosophy, and strict interpretation and application of certain safeguards - Chumrot - built into halacha). The bill's opponents oppose it due to coalition politics, or because it blocks their attempts to destroy the religious status quo that would otherwise split our one nation in Israel apart. On the Monday morning of June 14, 2010, an Israeli policeman was killed and three others were injured when Palestinian terrorists opened fire at a police car near the Yehuda/West Bank settlement of Beit Hagai. The officers were making their way to Hebron from the southern city of Beersheba. The killed officer was identified as Command Sergeant Major Yehoshua (Shuki) Sofer, 39, who had served in the Hebron region for 14 years. 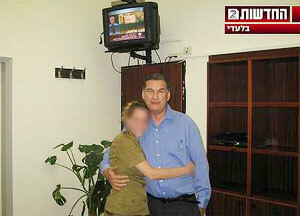 (YNET). This morning, the Shin Bet cleared for publication, that the Shin Bet has arrested a Hamas cell believed to be behind the shooting attack. Walla reports that some of the terrorists in the cell were released from Israeli prisons just weeks before the terror attack. We provide free medical treatment for the enemy's family, who then 2 weeks later commit terror attacks against us. We released terrorists from prison as a measure of "good faith" and then they attack us weeks later. Do we need to vet every Palestinian child with cancer prior to treatment, to see if their parents are planning to kill us? Obviously, Israel's surgical treatment (and the free funding from an Israeli organization) for a six year old girl with a tumor near her eye, made zero impact on this Palestinian family's commitment to terror against the Jewish State. 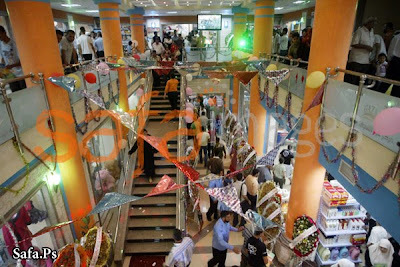 The ISM, flotilla terrorists, and Israel-haters everywhere must be racking their brains how to un-spin the opening of a luxury shopping mall in the IDF-blockaded, starving-Gaza. Meanwhile, something else to blame on Israel is the Al-Jazeera report that the Gaza tunnel smuggling business is in a slump (because of the influx of Humanitarian aid). Israel’s blockade of the Hamas-ruled Gaza Strip has been a bonanza for Palestine Food Industries Co., the only functioning juice maker in the Gaza Strip, with sales increasing ten-fold as the embargo kept out competition. Now, as Israel relaxes its restrictions, the company has joined fellow manufacturers including Pepsi-Cola bottlers Yazegi Group in demanding that Hamas protect local industries and refuse imports of juice, soda and snack foods. Officials of the Islamic movement have heeded the calls and are barring entry of such items as Israeli grapefruit juice and potato chips. If Hamas allows Israeli juice to enter Gaza, Palestine Food will have to compete with Primor juices made by Gan Shmuel Food Industries Ltd., based on the Gan Shmuel kibbutz south of Haifa, and the Tapuzina-brand produced by closely held Jafora Tabori Ltd., based in Rehovot, near Tel Aviv. Gaza City-based Yazegi Group’s Pepsi factory published newspaper ads calling on Hamas not to allow rival soft drinks into Gaza, according to its director Rajab al-Ghazali. Al-Awda Factories Co., which makes cookies and ice cream and is located in Gaza City, has also sought Hamas protection from Israeli imports, said Manal Hassan, its executive director. Angry Gazans at the fully stocked supermarkets. Since June, hackers in Turkey have been working feverishly to hack major Israeli sites. One site they hacked was allegedly homeless.co.il, resulting in the stealing of over 70,000 email addresses and related passwords, as well as credit card information and other personal details. 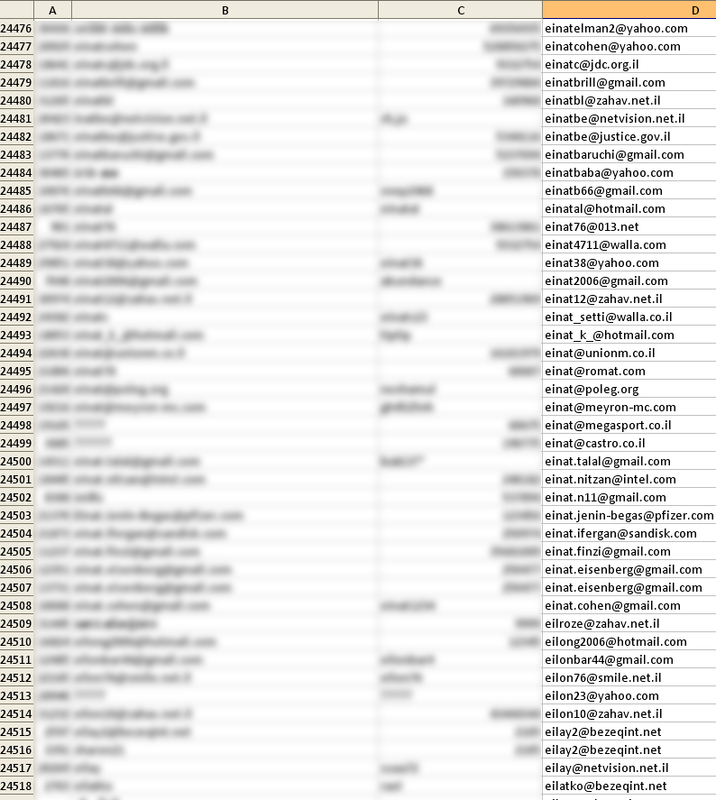 If you ever signed up there, they may also have access to your gmail, facebook and paypal accounts if you used the same userid and passwords. All the information was publicly posted on a Turkish site, where they are debating how to best use the data. In the meantime, apparently you can check if your email is on the list with this online app. 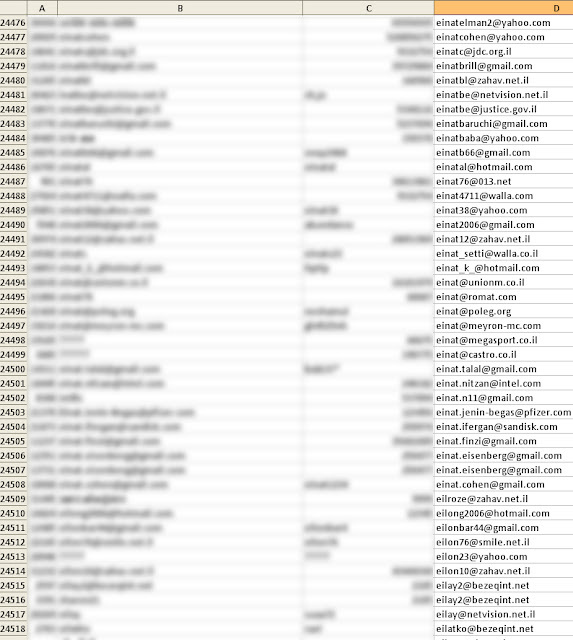 UPDATE: The number of hacked emails has risen to over 100,000, after is was disclosed that Pizza Hut was also hacked, as well as a small Chabad site. "Peres' lies made me cry," the wife of Turkish Prime Minister Recep Tayyip Erdogan charged in a meeting with Palestinian businesswomen Friday. Amina Erdogan used the meeting, held at her Ankara home, to share her emotions during the infamous verbal clash between her husband and Israel's president in Davos in December 2008, a short while after the launch of Operation Cast Lead. "The incident in Davos (where Erdogan stormed off stage) was not planned in advance, but rather, followed the lies spread by Peres," the Turkish PM's wife was quoted as saying Saturday by the Palestinian al-Ayam paper and by the Saudi al-Watan paper. "I was saying: 'My God, how can one face the whole world and lie…God, shut this man up.'" 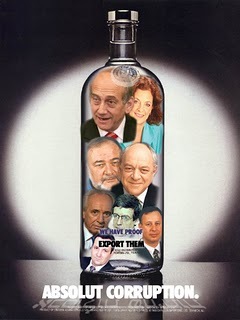 "We reached our limit because Peres lied," Amina Erdogan added. "We used to hold positions in support of peace." She added that Peres later called Erdogan to apologize. [Jameel: This is news to me] As noted, Erdogan's wife welcomed Palestinian businesswomen at her home Friday, lauding their activity in "facing Israel's occupation." She concluded the meeting by quoting Palestinian national poet Mahmoud Darwish: "Palestine was, Palestine exists, and Palestine shall remain for all eternity." Obviously, it takes one to know one, as Turkey also considers its genocide against Armenia to also be a "lie"...and I doubt Amina Erdogan has shed any tears over those slaughtered by Turkey Her husband refuses to apologize or admit that Turkey has anything to do with the slaughter of 1.5 million Armenians. IDF releases (with English subtitles) the official IDF investigation video from general Giora Eiland's team of experts -- what transpired on the Turkish Terror boat, the Mavi Marmara. Special thanks to the hard working New Media Unit of the IDF spokesman. An interesting piece of legislation is about to be presented to the Knesset for its second and third reading (which would make it law), having passed today in the Knesset House Committee. The "Referendum Law" states that should the Israeli government approve a withdrawal from territory under full Israeli sovereignty (i.e., the Golan Heights, Eastern Jerusalem, parts of pre-1967 Israel alongside the Gaza strip, but not Yehuda vShomron/West Bank) – then the decision will be put to a vote in the Knesset. Once passed in the Knesset, a national referendum will be held within 180 days. Only a vote of 80 (or 90) Knesset members or more can prevent a referendum from being required to implement the withdrawal. This law's origin is based on the problem that Israeli politicians routinely run on one platform, and then do an about-face after elections, and reject their previous platform. Examples include Yitzchak Rabin and the Oslo Accords, in which the entire issue was hidden from the public's eye till it was announced. The Oslo 2 Accords only passed in the Knesset by a 1 person majority (61-59) after Rabin bribed 2 MKs to abandon their party's platform in exchange for a Ministerial position and a Mitsubishi car and driver. Ariel Sharon, the previous "champion of Israel's security and supporter of Jewish settlement" did a radical about face in the middle of his term, leading Israel's disengagement from Gaza, despite having won the election against the publicly stated disengagement platform of the head of the Labor party, Amnon Mitzna. This also despite Sharon's promise to abide by the public referrendum of the Likud party's membership on the issue of Disengagement, in which the Disengagement idea was rejected by an overwhelming 69% to 29%. What I found amazing was an interview with MK Daniel Ben-Simon (Labor) who announced on IDF radio this morning that this law was a threat to democracy and would diminish the sovereignty of the Knesset. The "sovereignty of the Knesset"? By putting a vote into the hands of the people, that impedes the representatives of the people? That impacts our democracy? This need for this law is further reinforced by yesterday's acquittal of MK Tzachi Hanegbi. Hanegbi was cleared on the charges of fraud, breach of trust, and electoral bribery in the Jerusalem Magistrates' Court. He was charged on just one count in the indicted filed against him in 2006: perjury. Quoted on IDF radio, Hanegbi stated that the conviction of perjury was only a minor issue, tacked on to the end of the indictment. If the court doesn't rule that Hangbi's perjury carries the stain of "Kalon" (moral turpitude) , this will herald his return as a major player in Israeli politics and a leader within the Kadima party. Since when is perjury such a petty crime, that when committed by a politician that it be ignored and minimized as a "minor issue." I assume that since politicians in Israel lie all the time, why should any politician even be expected not to lie under oath? Tzippi Livni considers herself Mrs. Clean, and Kadima to be the "clean hands party" -- yet to allow Hanegbi to continue in the party after a conviction of perjury (with, or without the official court declaration of "kalon") demonstrates the worst of Israeli politics and utter disregard of the law. If we want to protect Israel's democracy, we need to protect ourselves from politicians in Kadima and the Labor party that moan about Israelis wanting to decide for themselves about Israel's future and not leave it in the hands of immoral criminals housed in the Knesset. 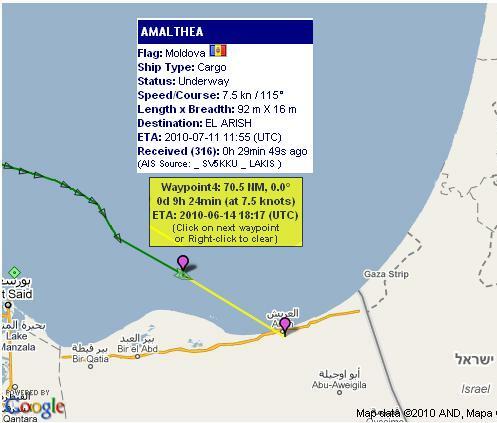 8:32 PM Amalthea is anchored off the El-Arish coast. 3:38 PM Unconfirmed foreign press reports that the boat is now 10-20 nautical miles off of El-Arish. 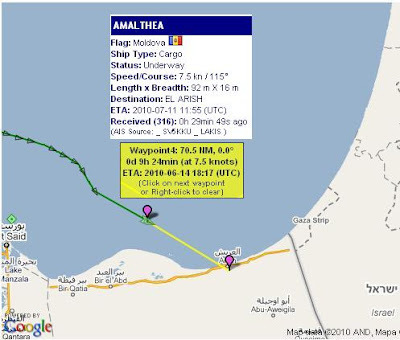 2:40 PM At just around 14NM out from El-Arish, it looks like the Amalthea is heading to port there (unless it turns, now that it is within Egyptian territorial waters). 2:28 PM Libyan boat claims to be carrying 2000 tons of aid. Yesterday Israel transferred over 6000 tons of aid. 11:30 AM IDF Radio reports that the Libyan ship that was bound for Gaza, has managed to overcome its "technical" problems, restarted its engines, and is continuing to the El-Arish port in Egypt. IDF Naval warships (and the Muqata blog) are carefully tracking the Libyan ship to ensure it does not attempt to get to Gaza. Will the Muqata Ever Be the Same?